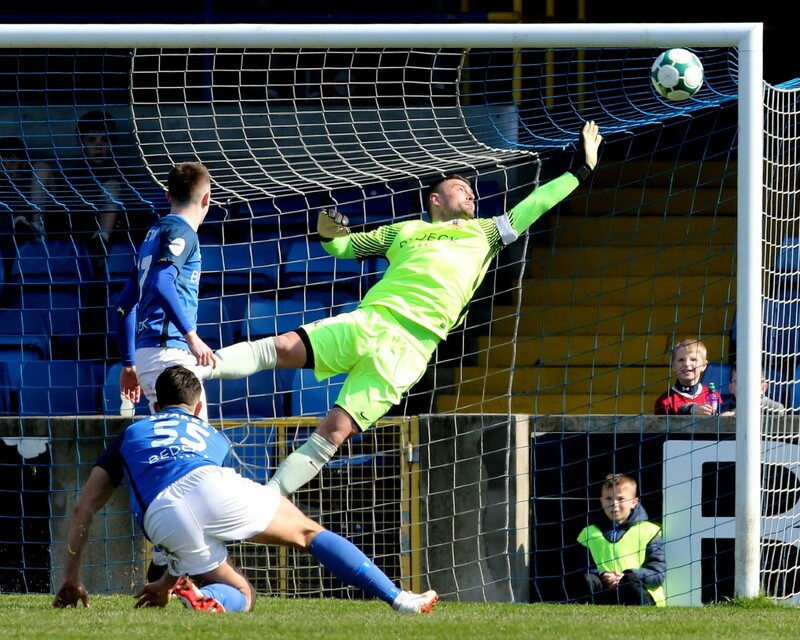 After their 4-0 hammering at home to Carrick on Saturday Ards were no doubt hoping to keep it tight for the first 20 minutes or so but those plans went out the window in under two minutes. 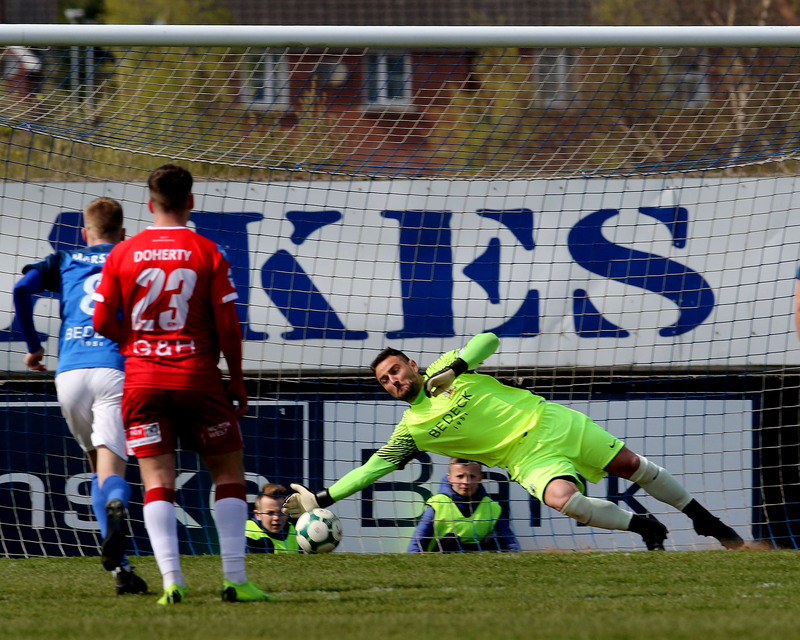 Andrew Mitchell put Glenavon in front when he turned in a driven cross from Rhys Marshall who was occupying the left back berth in the absence of the injured James Singleton. 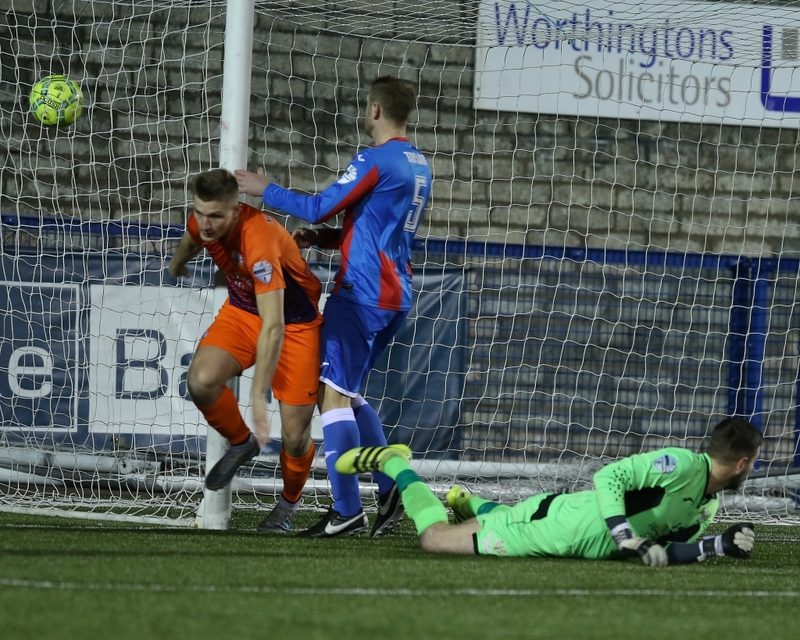 Robbie Norton’s neat pass had found Marshall’s run and his low cross was met at the front post with a deft touch by the Glenavon striker. Andrew Doyle was restored to the starting line-up alongside Caolan Marron and Andy McGrory came in at right back. The lead was doubled in the 21st minute when Stephen Murray joined his strike partner on the score sheet, chesting home a Joel Cooper left wing cross at the back post. 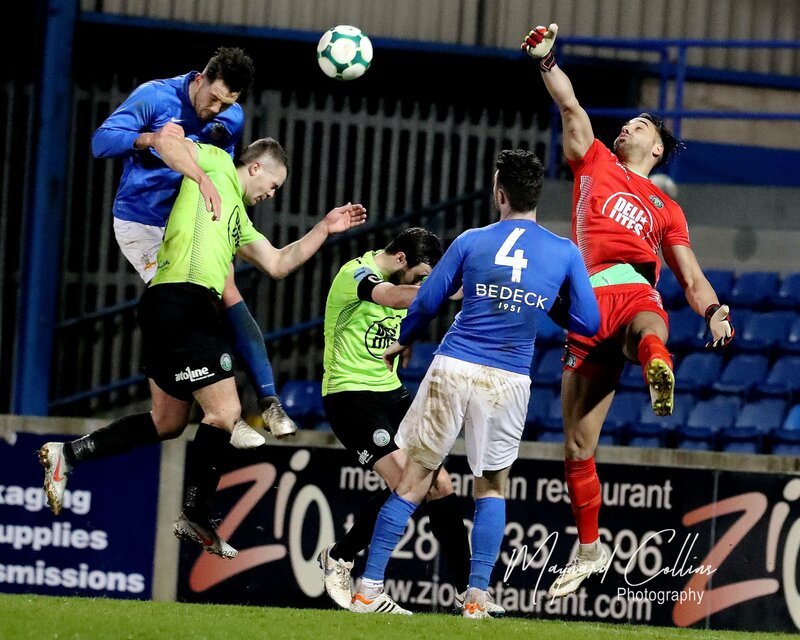 A minute later Scott Davidson then had Ards’ best chance of the night when he burst into the box but Jonny Tuffey saved well. Seconds later at the other end the unselfish Murray set up a chance for Robbie Norton but he blazed over from 12 yards. 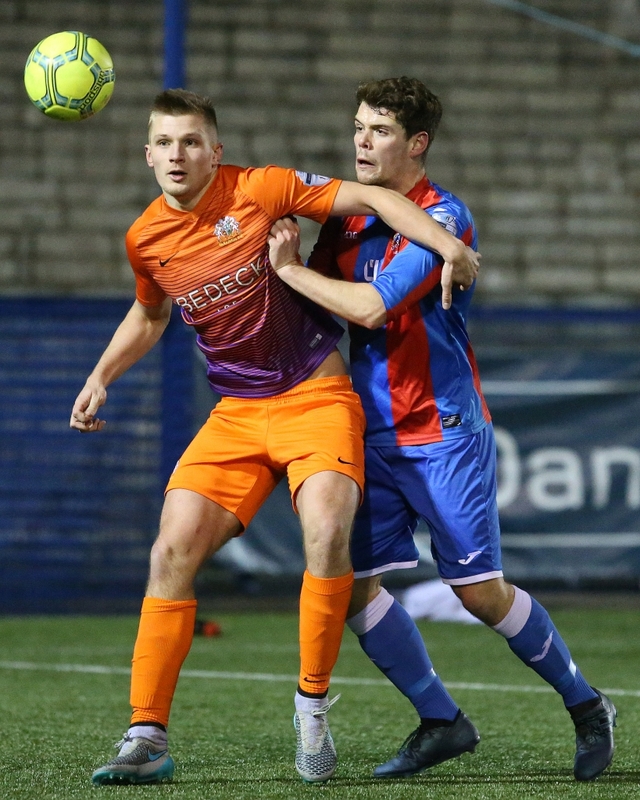 Cooper added the third goal in the 56th minute, firing home after Aaron Hogg had spilled a Bobby Burns shot, with Murray again unselfishly squaring the ball for Burns, before Ards pulled a goal back on 66 minutes through a Reece Glendinning free kick. Any hope of a comeback was quickly extinguished when Murray bagged his second of the night after 72 minutes to make it 4-1. A Rhys Marshall throw in saw Burns and Cooper exchanging passes before Burns fed the ball into the run of Murray. He burst past two defenders into the box and fired an unstoppable shot past Hogg. 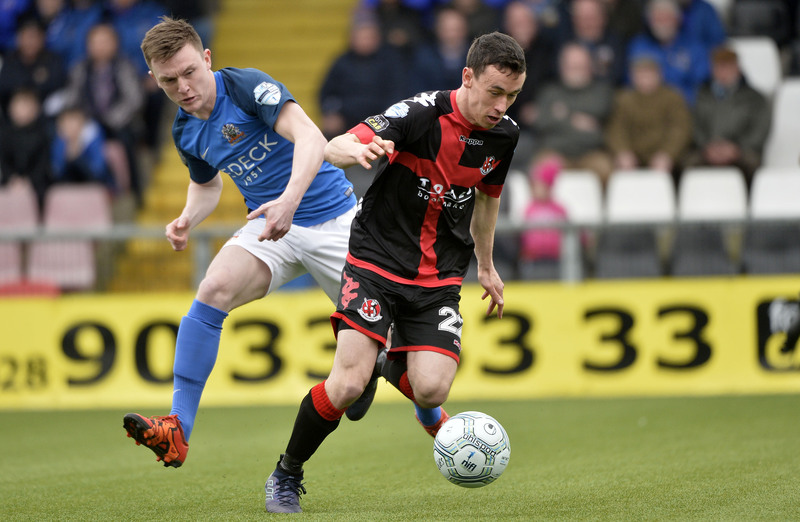 Not to be outdone, Mitchell completed his double four minutes later by tapping in from a Josh Daniels cross and his fellow subs Eric Foley and Marc Griffin combined for the 6th goal, the striker heading Foley’s corner in off the far post. 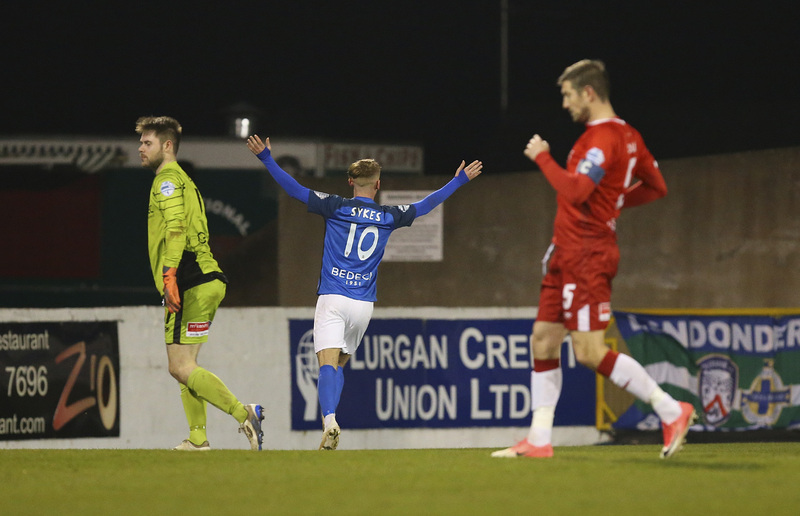 A more than comfortable victory for the Lurgan Blues which sees them stretch the gap to the joint 4th/5th placed teams (Cliftonville and Linfield) to six points and edges them that little bit closer to 2nd placed Coleraine. 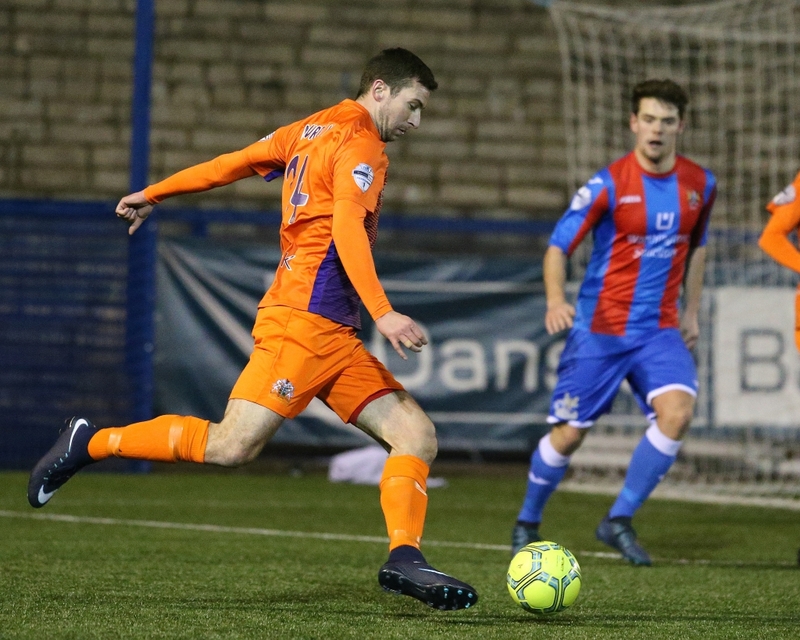 A reminder that Glenavon has no game this weekend due to the postponement of the game with Crusaders who are involved in the Irn Bru Cup in Scotland so next up is a trip to Taylors Avenue on Saturday February 24th for the next Danske Bank Premiership game, against Carrick Rangers.